All I have ever known. Wherever I am, I know that I can return there. Where I was born. Where I was brought up. This is my home. This is where I live. And this is the place I will come back one day. This is where I want my kids to go to school. It’s the place that my wife loves. I wanted to show everybody where I am from. To put my hometown in the map. To do that, I had to make it part of my body first. I had this tattoo when I was 19. In a basement. It took 45 minutes to have it made once and for all in my body. It will last forever. It’s a piece of art, made by a very close friend of mine. He has helped me by doing lots of my tattoos and at a very good price. I will always be grateful for that. When I am in the court, it’s not only about me, Jordan Theodore. I do not only carry this name. I carry something else, as well. I don’t know if anyone has noticed, but everytime I am in the court, I make sure that I take off my t-shirt and walk until the end of my team’s bench. I want to show my tattoo. I want to show where I come from. The place I grew up at. It’s a kind of a ritual that I started when I became a pro. And I do that until today. Now I do that at every court that I play with AEK, my team. I had my siblings, my friends and basketball. The choice of going everyday to the court was my “refuge”. That kept me away form trouble. If I was bored or didn’t know what to do,I went to the court. I played baskeball in every chance I could get. There were times that I made all of my friends play basketball, even though they didn’t want to. I grew up in Englewood, New Jersey. There you have two choices. Either basketball or something else that will not end good. I am not the only one with the map of Englewood tattooed on my back, My two brothers have done the same. It’s like a family tradition. And it is not the only one. All of us have another tattoo. «Stay sucker free» on my arm. Not just my two brothers, but my cousins, who I also call brothers. «Stay sucker free» means, stay loyal to yourself and to be yourself. Now I am the only one from my neighbourhood who plays basketball professionally. A while ago Shawn Banks used to play for the New Orleans Hornets in the NBA and several teams in Turkey. He doesn’t anymore. So I am the only one. I want to leave my mark. To be an important player from this neighbourhood. I am Jordan Theodore. From Englewood , New Jersey. 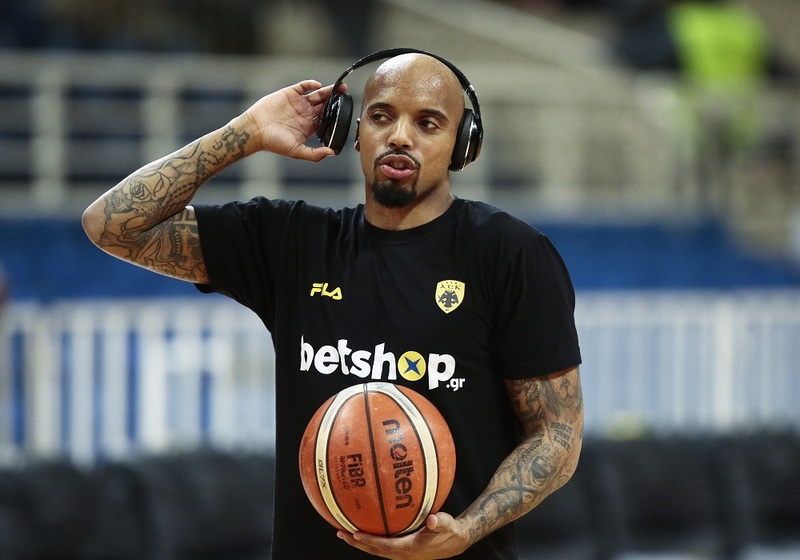 Jordan Theodore is a professional basketball player currently playing for AEK BC.